Former Air Force jet fighter pilot and POW, Lee Ellis, an award-winning presenter and leadership consultant shares his concerns about the lack of accountability in our culture and how you can apply a positive, proven accountability model to get better results as a leader. 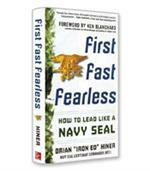 Honor and accountability are linked together as a formula for great leadership, and a healthy mindset of accountability can inspire a higher level of performance. 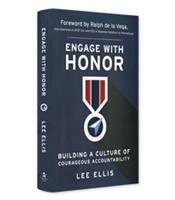 In his new book, Engage with Honor, former Air Force fighter pilot Lee Ellis, now a management and strategy consultant, uses the harrowing experiences of prisoners of war in Vietnam to underscore and exemplify what it takes for leaders to build a culture of what he calls “courageous accountability.” For example, in a culture of courageous accountability, which links honor and accountability, clarity is essential, both in communication with others and in the leader’s mind. Ellis tells the story of an American senior ranking officer in the prison camps who had been clear with others, and was clear in his own mind, about what conditions needed to be in place before he would approve an escape attempt. He lost that clarity when he succumbed to the aggressive pleas of one of his soldiers, who, with a partner, had worked out a plan of escape. Against his better judgment, the officer approved the escape. The plan failed, and one of the two escapees did not survive the torture that followed the attempt. 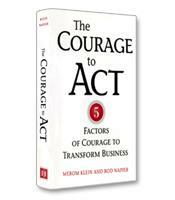 At the heart of his book is The Courageous Accountability Model. The core of the model, represented by a pyramid, has three elements: the wide base is character, topped by courage and then commitment. For Ellis, the person that best reflects these three core elements is U.S. Navy Commander James Stockdale, the senior ranking naval officer and often the senior ranking officer of the POWs in the Hanoi Hilton during the seven-and-a-half years he was held. “He regularly demonstrated those characteristics,” writes Ellis, “at such an extremely high level, they would normally only be imagined in epic fictional heroes.” In one of many incidents, Stockdale, after being tortured day after day, was going to be paraded in front of the cameras “to play a role in a propaganda film,” Ellis writes. Aware of what was happening, Stockdale, left alone in the interrogation room, grabbed a stool and beat his face to a bloody pulp so that he could not be used in the film. Step one, illustrated in the earlier story, is to clarify, that is, to ensure that people understand a leader’s expectations — and that leaders themselves are equally clear on what needs to be done to achieve their goals. Step two is to connect. “Everyone needs connection to know they are valued and respected,” Ellis writes. Readers unfamiliar with the stories of the POWs will be surprised at the extent to which the prisoners throughout the camp managed to stay connected to each other despite their jailers’ unrelenting efforts to keep them separated. Step three is to collaborate. Ellis notes that collaboration and accountability are not often paired together. However, true leaders recognize that delegating authority does not mean delegating the ultimate responsibility for the efforts and outcomes of their employees. Step four is to closeout. The assignment or initiative is ended, and it is time to celebrate or to confront the problems if the outcome is unsatisfactory. Celebration may seem to be a luxury, but as Ellis writes, the best leaders are not reticent in providing affirmation and enthusiastic, positive feedback as people achieve their goals. This exceptional leadership book shows how even in the most extreme situations, accountability can thrive. No leader who reads these unforgettable stories of courage and honor will be able to justify or rationalize any lack of accountability in their organizations.